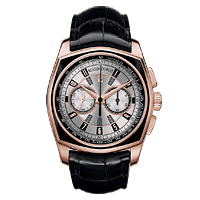 Established in 1995, Roger Dubuis is more than just a manufacture. 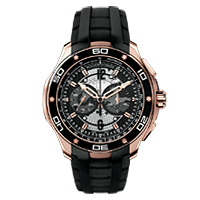 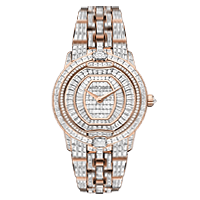 Roger Dubuis is an elegant statement of extravagance and rebellion in design. 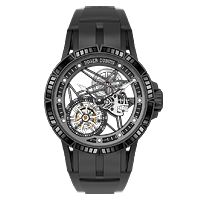 Equal parts innovation and respect for tradition, Roger Dubuis endeavors to craft luxury timepieces which evoke excitement while maintaining a strict commitment to quality and precision. 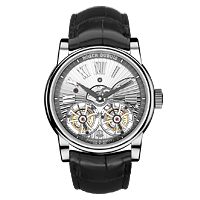 Today, from their facility in Geneva, Switzerland, Roger Dubuis continues to push forward, designing both mens and womens watches including the Excalibur, the re-invigorated Hommage, the gambling-inspired Le Monegasque, the Pulsion, and more, many featuring sophisticated complications and design aspects such as minute repeaters, tourbillons, and skeletonized dials.